He was born in July 16th, 1948 in Panama. He is an icon of Panama and is admired throughout Latin America and Spain. As a musician, he has recorded more than 20 albums and composed dozens of hit songs; the most famous song is “Pedro Navaja”. He has been honored with eight Grammys. As an actor, He has participated in more than 36 films and he has been nominated three times for an Emmy. From 2004 to 2009 he served as Minister of Tourism of Panama. Patricia Elena Vlieg, singer, composer and arranger, as well as a guitar and keyboard player. Her work is a combination of a variety of rhythms and styles rooted in the Latin American musical tradition, and elements of jazz and other genres. Her broad repertoire includes music in Spanish, English, French, Portuguese, Italian, Hebrew, and Japanese among others. She began her musical studies in Panama, her country of origin, and continued them in Berklee College of Music where she was awarded the degree of Bachelor of Music with a concentration in arrangement and performance. She also studied vocal performance in the New England Conservatory of Music. In 1991, she released her first recording Esta noche ha nacido una estrella, featuring Christmas music. In 1996, together with her sister, Ana Lucía, she released her first CD, Viviendo en mi sonrisa. In 2003, she recorded, again in company with her sister, the album Tus promesas, of original religious music focusing on the life and message of Jesus. In 2005, Patricia Elena released Origen, in which she blended various Latin American rhythms and elements of jazz in an homage to her cultural heritage, again revealing her versatility as a composer, arranger and vocalist. This album won acclaim from, among others, Rubén Blades, who featured –and praised— her music on his website. At the end of 2007, she produced “Llamados”, her sister Ana Lucía’s first solo CD. In 2011 she released her album “A una Cantora”, a tribute to Mercedes Sosa and produced in collaboration with Argentinian pianist Lilián Saba and her quartet. She has been consistently recognized and honored for her abilities, from her college days, where she stood out among the most talented young performers and composers of our day. At Berklee, she received top awards in each of her areas of specialization (Quincy Jones, Professional Music Achievement, and Solo and Ensemble Awards). Her musical virtuosity and high degree of professionalism have garnered her recognition from such varied institutions as the Panamanian Ministry of Education, Camara Junior International, Catholic Church, Professional and Business Women of Panama, Foundation for the Promotion of Women, and the Massachusetts Eye and Ear Infirmary. Her music is rich and varied, deep and heartwarming. She has appeared in various venues in which she always exhibits the multicultural influences and elements that enrich her music: Art and Soul Festival, organized by VSA Arts, which gathers artists from various parts of the world; Panama Jazz Festival in 2006 and 2007; Alma y Canción concert; and the Panamanian National Theater, among others. She has performed with renowned artists like Lito Vitale, and participated in projects together with important jazz musicians such as Oscar Stagnaro. Patricia Elena gave life to a long-standing personal dream by creating AMERICA MULTICOLOR, a program that covers music, songs, poetry, and dance, based on the various Latin American musical traditions. This show was presented in Panama, with the collaboration of many local and international artists, among them, Oscar Stagnaro, Panamanian Dino Nugent and Peruvian musician Manuel Miranda. In 2011 she travelled to Japan invited by the Embassy of Panama to perform at the ILBS Benefit Evening (Cherry Blossom Charity Ball) celebrated on September 30th at Hotel Okura in Tokyo. The event was a fundraising gala dinner for the benefit of philanthropic organizations in Japan and the world, with the support of the Imperial Family and the participation of leading figures of Japanese society..
Los Rabanes is a rock band from Chitré, the province of Herrera of Panama. They formed the band with the idea to play in small pubs and bars on weekends. 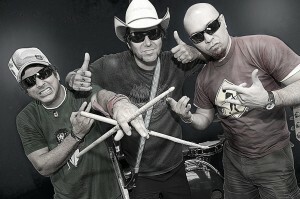 The lyrics of Los Rabanes are a mix of Panamanian Spanish and English. In 2008, their sixth album “Kamikaze” won the Latin Grammy Award for rock album by a duo or group with vocal. Samy y Sandra is the brother and sister musical duo from Panama. They perform típico (a traditional music of Panama) and are known as “Patrones de la Cumbia”. Samy (brother) plays the accordion and Sandra (sister) sings and also performs dance. From the countryside, they took the traditional music to every corner and to people of all ages. A native of Panama, his artistic talent emerged since an early age, singing and playing the guitar. In 1984 and 1986, he participated in the prestigious international music festival “OTI”, where talented singers from 23 countries carry out musical performances. Lubek Spano has sung with the chorus group of the Panamanian artist Ruben Blades and Willie Gonzalez, both worldwide-known salsa singers. He also perform as part of the show of very prestigious Latin-American artists such as Marco Antonio Muñiz, Olga Guillot, Willie Chirinos, Grupo Niche, Armando Manzanero, Willie Colón, Wilfrido Vargas, Eddie Herrera, Paulina Rubio, among others. 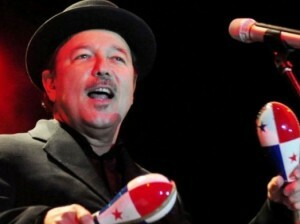 Due to his ability to sing several rhythms such as bolero, ranchera (Mexican folk song), salsa, merenge, typical music and pop, Lubek Spano is considered one of the best Panamanian singers. Lubek Spano is a tenacious artist who has a deep sense of commitment to his public. The name of Grupo Tuira comes from the biggest river that tours its waters at the Pacific Ocean of Darien province. As this river is the main communication bridge between the isolated and multicultural Darien province, the Tuira music delves into musical and poetic Panamanian roots, focusing on the Third World music sounds, and becoming a bridge for the classic and contemporary styles. The result is a particular diversity of influences that can be defined as latin fusion. Also a historian and publicist, Romulo Castro is a well-known musician that writes lyrics and the melody of his own songs, which usually reflect people’s problems and their hope as well as mirrors a particular vision of the day-to-day life. He was born in Panama, started playing music when he was 15 years old. He is a very famous singer, musician and songwriter. A versatile entertainer fluent in both English and Spanish, Roberto has developed a long career in Costa Rica and Canada, performing as a one man band. He has played in Costa Rica, Canada and Tokyo in Japan. Currently, he lives in Canada. Roberto Duran (born June 16th, 1951) is a retired Panamanian professional boxer, widely regarded as one of the greatest boxers of the twentieth century. 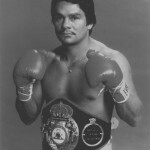 He was nicknamed “Manos De Piedra (Hands of Stone)” during his career. In 2002, he was chosen by The Ring to be the 5th greatest fighter of the last 80 years. He held world titles at four different weight categories—WBA Lightweight (1972), WBC Welterweight (1980), WBA Junior Middleweight (1983), WBC Middleweight (1989), NBA Middleweight (2000). 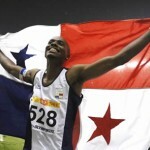 Irving Jadir Saladino Aranda (born January 23th, 1983) made history in the 2008 Beijing Olympic Games when he became the first Panamanian to win a gold Olympic medal in the long jump . He has also won gold medals in long jump in several tournaments such as Osaka World Champiohship (2007), Pan American Games (2007), Ibero-American Championship (2006), Central American and Caribbean Games (2006), among others.